Home » Posts tagged "water policy"
Beginning in the late 1970s, Saudi landowners were given free rein to pump the aquifers so that they could transform the desert into irrigated fields. 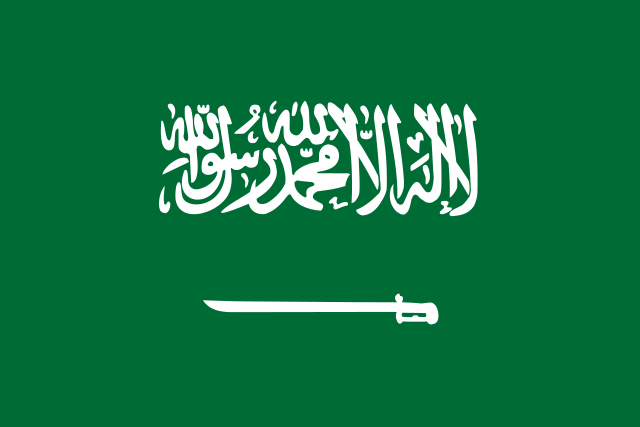 Saudi Arabia soon became one of the world’s premier wheat exporters. By the 1990s, farmers were pumping an average of 5 trillion gallons a year. At that rate, it would take just 25 years to completely drain Lake Erie. Definitely read the rest, especially if you aren’t familiar with how broken U.S. water resource policies are. RIO DE JANEIRO (AP) — Athletes in next year’s Summer Olympics here will be swimming and boating in waters so contaminated with human feces that they risk becoming violently ill and unable to compete in the games, an Associated Press investigation has found. An AP analysis of water quality revealed dangerously high levels of viruses and bacteria from human sewage in Olympic and Paralympic venues — results that alarmed international experts and dismayed competitors training in Rio, some of whom have already fallen ill with fevers, vomiting and diarrhea. It is the first independent comprehensive testing for both viruses and bacteria at the Olympic sites. Brazilian officials have assured that the water will be safe for the Olympic athletes and the medical director of the International Olympic Committee said all was on track for providing safe competing venues. But neither the government nor the IOC tests for viruses, relying on bacteria testing only. Olympic athletes are almost certain to come into contact with disease-causing viruses that in some tests measured up to 1.7 million times the level of what would be considered hazardous on a Southern California beach. 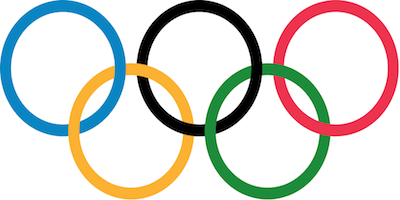 More than 10,000 athletes from 205 nations are expected to compete in next year’s Olympics. Nearly 1,400 of them will be sailing in the waters near Marina da Gloria in Guanabara Bay, swimming off Copacabana beach, and canoeing and rowing on the brackish waters of the Rodrigo de Freitas Lake. John Griffith, a marine biologist at the Southern California Coastal Water Research Project, examined the protocols, methodology and results of the four rounds of AP tests in the three outdoor water sports sites. All three sites were found to be unsafe. Kristina Mena, a U.S. expert in risk assessment for waterborne viruses, examined the AP data and estimated that international athletes at all water venues would have a 99 percent chance of infection if they ingested just three teaspoons of water — though whether a person will fall ill depends on immunity and other factors. Instead, the IOC responded to the AP report by saying Brazil should just stick to bacteria testing and that it would all be ok. In reality, many athletes already training on site reported becoming extremely sick repeatedly. As part of its Olympic project, Brazil promised to build eight treatment facilities to filter out much of the sewage and prevent tons of household trash from flowing into the Guanabara Bay. Only one has been built. Rio Mayor Eduardo Paes has said it’s a “shame” the Olympic promises wouldn’t be met, adding the games are proving “a wasted opportunity” as far as the waterways are concerned. For the first time, Pennsylvania has made public 243 cases of contamination of private drinking wells from oil and gas drilling operations. As the AP reports, Pennsylvania’s Department of Environmental Protection posted details about the contamination cases online on Thursday. The cases occurred in 22 counties, with Susquehanna, Tioga, Lycoming, and Bradford counties having the most incidences of contamination. In some cases, one drilling operation contaminated the water of multiple wells, with water issues resulting from methane gas contamination, wastewater spills, and wells that simply went dry or undrinkable. The move to release the contamination information comes after years of the AP and other news outlets filing lawsuits and Freedom of Information Act requests from the DEP on water issues related to oil and gas drilling and fracking. One wonders if there will be any consequences, though, given that the industry has spent massively on the campaigns of favorable state reps and state senators in Pennsylvania to open the way to fracking operations all over the state. The industry lobby’s response to the disclosure, as reported by the AP/Wall Street Journal, was to fault Pennsylvania rocks for being difficult to work with and to blame the state government for lax regulation on drilling well construction and design (a statement which takes a lot of chutzpah). Detroit’s unelected Emergency Manager Keyvn Orr has returned authority over the Detroit Water and Sewerage Department and its board of commissioners to the Office of the Mayor, which immediately announced plans to drastically scale back the aggressive water shutoffs and approach missing payments more humanely. This is a crucial victory for activists fighting the UN-condemned shutoffs, after more than 14,000 homes lost their water access in the past several months. The shutoffs topped 7,200 in June and the water department collected $800,000 last month compared to about $150,000 in June 2013. Mayor Mike Duggan has said water department officials could have been more sensitive in how they handled delinquent bills and the increased shutoffs. He promised Tuesday to have a “new plan shortly” on how to deal with the issue. Previous Arsenal For Democracy coverage of this story can be found here. In a deeply wrong-headed and immoral approach to close a budget gap, the water authority for the City of Detroit is still shutting off thousands of households’ public water access, claiming they have not paid up. In many cases the landlords have not paid through the rent contribution to the water bill, but either way, it’s reprehensible to shut off water to low-income families who are already barely scraping by. Now they can’t cook full meals, wash dishes, bathe, or stay hydrated. There’s no drought or natural disaster. It’s just budgetary. As an update, activists are now engaging in civil disobedience to try to halt the public water shutoffs, which have been condemned by the United Nations office for Human Rights. See also: “Detroit’s Water Cutoffs: Counterproductive and Coldhearted” by Detroit-area U.S. Rep. John Conyers, on why this strategy makes no sense in addition to its basic cruelty.